An ulcer is a skin sore that appears red and is filled with pus upon infection. It can be triggered by excessive heat or cold, skin irritation, or problems with blood circulation. Ulcers have a crater shape and are surrounded by red, swollen skin. They can be painful and produce discharge. Ulcers can have different causes, so it is important to know which type of ulcers you have for effective treatment. Leg ulcer is caused by venous insufficiency, which leads to fluid and blood cells leaking from the veins into the skin and other tissues. Over time, this develops into permanent skin thickening and hardening and a bumpy, dark brown appearance on the legs’ skin. Skin ulcers then form, most commonly on the inside of the ankle. A skin ulcer occurs where an area of skin has broken down and you can see what lies underneath it (the underlying tissue). 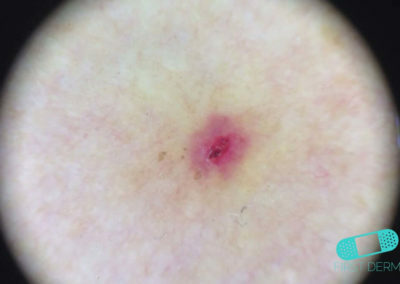 It is usually caused by a cancerous tumor on top of or just below the skin. It may produce discharge and bleed. If it becomes infected, it may cause an unpleasant smell. Tropical ulcer is also called tropical phagedaenic (phagedenic) ulcer. This is a painful, rapidly enlarging sore. It is usually found on the lower limbs of individuals living in a hot, humid tropical region. Aphthous ulcers are typically recurrent round or oval sores or ulcers inside the mouth on areas where the skin is not tightly bound to the underlying bone, such as on the inside of the lips and cheeks or underneath the tongue. They can also affect the genitalia in males and females. Prevention is different for different types of ulcer. For leg ulcers, you may try elastic or compression stockings and avoid standing or sitting for long periods of time to reduce swelling in the lower legs. Avoid topical antibiotics, drying lotions, lanolin, benzocaine and other skin numbing agents, as they can make the problem worse. For malignant skin ulcer, you may clean the ulcer with warm tap water and dress it special charcoal dressings. Avoid antiseptic washes, as it may be harmful to the tissues and thus delay healing. For decubitus ulcer, correcting malnutrition, daily inspection of immobile person’s skin, frequent repositioning of immobile person and powered alternating-pressure mattresses can be helpful. Recurrent aphthous ulcers are associated with significant health problems in some people. This includes Behcet syndrome, celiac disease, inflammatory bowel disease, human immunodeficiency virus (HIV) infection. Treatments are very different for the various types of ulcers. Talk to a healthcare professional to outline a treatment plan for you. Antibiotics help prevent infection, but ulcers take a long time to heal. A healthy diet and exercise are important in preventing ulcers.  For leg ulcers, a healthcare provider normally suggests wet dressings, topical steroid creams and ointments or oral antibiotics to reduce the symptoms. Varicose vein stripping and other surgical procedures may be needed as well. Metronidazole tablets and ointment can reduce unpleasant smell for malignant skin ulcers. For decubitus ulcer, antibacterial drugs and “debridement” treatment can clear up the wound. However, ulcers past stage 2 are very difficult to treat.